After my prop building post I thought it might be nice to look at prop stands in the context of juggling routines, they are often over looked but can dramatically change the structure of an act. I thought it might be interesting to analysis some routines to see what kind of prop stand they use and note some of the positive and negative aspects of their stand. If you know of any interesting examples or points don’t forget to add a comment below. Before I get too deep on this subject it’s probably best to define what a prop stand is. I’m defining it as an object created for the purpose of holding a performers props, allowing them to quickly or elegantly transition from one prop to another. Fairly simplistic but I think it’s a workable definition. 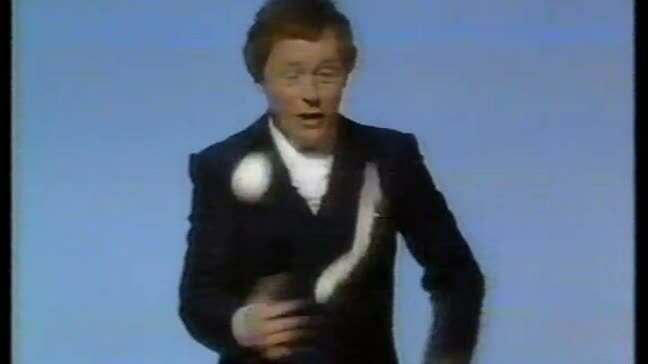 So first up I’d like to look at Donald Grant’s diabolo act. I love this act; it’s well choreographed and full of character, one of my favorites. In the act Mr. Grant transitions from using one diabolo to two. 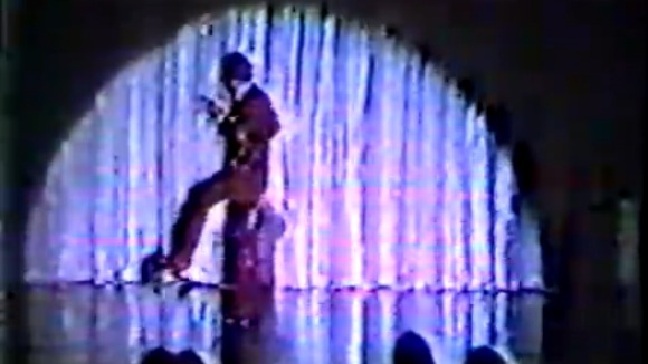 His prop stand is either the floor or sometimes an assistant brining on the second diabolo. It works because it’s simple, it doesn’t distract from the performer and gives him a quick transition from one piece to another. The drawback is should you have an act with more props, the stage could become unworkable and if the stage is not level then it could easily cause problems. Having said that a few months ago Jay Gilligan and Wes Peden released a video called “More Fun Than Visiting a Zoo Volume 2 – Instant Prop Stand” in which they explore the concept of using the props themselves as the prop stands. The set up required for some of the tricks is slightly mind blowing but besides the practicality it produces some very nice and original work. You can buy the full video download here (and no I’m not on commission!). Kris Kremo is another favourite of mine so let’s have a look at his work with regards to prop stands. Kris uses more props than Donald but works around the problem by having his props on a convenient table or ledge usually off stage. This way Kremo avoids having a distracting prop stand on stage, he also doesn’t have to worry about having his prop stand set correctly. The only draw back is he must exit the stage momentarily to change props. However this also helps in the structure of the routine, for a moment the audience doesn’t know if he will return to continue or take his final applause. It’s interesting to note in this fascinating interview with Kris Kremo he mentions his farther, Bela Kremo who taught him much of the act. According to Kris, Bela liked to use a chair as a prop stand because (like the props in his routine) it was an everyday object that the audience was familiar with. Gandini Juggling, who I occasionally work for, use many different props and have simple methods to store their often large number of props on stage. For standard small balls they have simple buckets which stop balls rolling about the stage. The only draw back is that it’s difficult for more than 2 performers to access the balls at once. The Gandini glow club stand solution is extremely elegant, the props and stand are displayed to the audience rather then hidden away and are particularly atheistically pleasing. I think this is a great example where the prop stand adds to the routine rather than distracts from it. On a practical note the only downside I know of is that they weigh a fair amount and do not fold down. Dieto another gentleman juggler that has a particularly interesting prop stand. Parts unfold revealing small characters presenting props, very unusual and well crafted. I like that a visit to the prop stand is as entertaining as the juggling and manipulation (which I also really like). Some people will say it’s too gimmicky but personally I love this act and would love to have a prop stand as equally as eccentric! The god father of technical club juggling, Alexander Kiss had some amazing tricks and some very impressive props that bordered on the line of prop stands. My favorite of his was a device which fired clubs into the air (he then perform a trick which has become a measuring stick for many of today’s jugglers; 5 club backcrosses). The magical quality in which he is given his clubs makes you question if he is also just some kind of ingenious machine built in one of the circus workshops behind the Iron curtain in the 1950s that surely existed. Given the tricks that he and his sister (Violetta) performed I would not be massively surprised to find out they were both robots. Evgeni Biljaure (Or Ewgenie/Evgenie Biljaueis depending where you look on the net) is another juggler who pushed the limits of what was thought was possible. 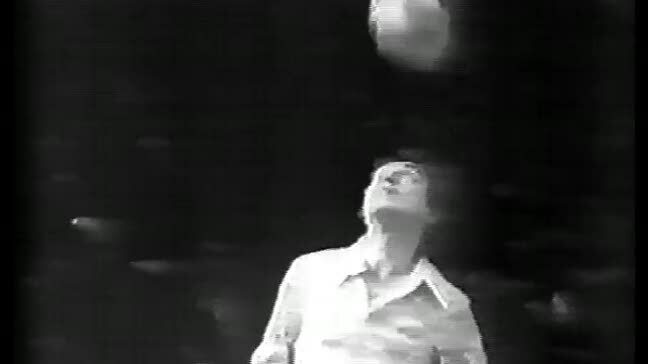 2 ball head bouncing, 5 club forward rolls, 7 rings with a balance, an amazing juggler. In his routine props were thrown to him from all different directions, props flew in from all around the ring. This kept the audience guessing, used the space well and kept the energy of the act up. The only downside to using faceless assistants is you have to trust that the ring boys are paying attention to your act and waiting for their cues, otherwise you might be waiting for that 3rd ball for an awfully long time! Bert Garden a comedic gentleman juggler, has a automated moving case that appears to interact with him. At one point Garden is even handed a ball from an arm that protrudes from the case in a comical manor. I’d say the main draw back with this particular prop stand is that the performer has to bend over each time to get a new prop. Bending over looks a little unsightly and doesn’t seem to fit well with the character of a gentleman. However I like the idea of the prop stand having a mind of it’s own, it reminds me of ‘The Luggage’ from the marvelous Disk World novels by Terry Pratchett. 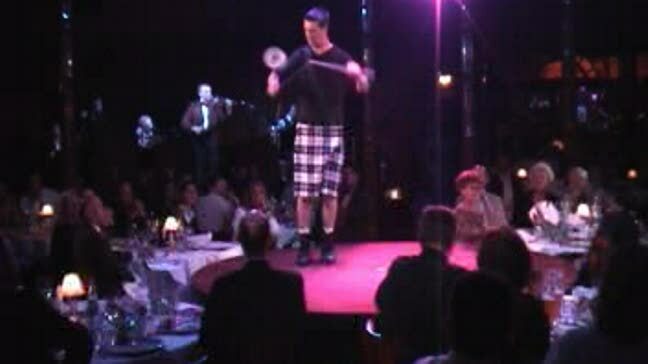 More recently Christoph Rummel uses a club firing device in one of his routines. Interesting to have the workings of the device on display, it seems more robotic and less magical, I’m not sure if that’s a good or bad thing. I’d say there is still so a lot of potential in using prop stands in creative ways but building interesting stands can be tricky. If you’d like to learn more perhaps reading this article about implementing a propstand into a routine written by the brilliant Steven Ragatz over a IJDB is a good place to start. Finally, a long article! This was entertaining and I liked the links to some very impressive videos. Hi Arron Great post! I have an assistant who has my diabolo’s under her dress on garter belts. My act is an “impress the girl” number. It adds a nice amount of humor to the act but is rather challenging to make sure we don’t pull focus from each other at different times. In other acts I go for a table and suitcase even if its just for a small amount of props. anyway keep up the good work!